We help businesses think ahead; and tap the maximum potential of SAP applications. We are not only helping you optimize & automate your business processes, and boost productivity while decreasing costs, but are constantly finding new opportunities so that your business strives and thrives future challenges with our SAP expertise! Our team has the required expertise to understand different businesses and their business models and provide the required services accordingly. We serve as a one-stop-solution to all your SAP related needs. We provide you a highly customized SAP service strategy at a cost-effective price and within a quick turnaround time. Outsource2india is a one-stop SAP consultation expert, be it Initial SAP Implementation, Ongoing Enhancements, SAP Testing, or Regular SAP Upgrades. We keep an eye on the latest SAP developments and analyze ways for providing complete SAP advantages to clients across diverse industries. If you have invested in SAP, you would know that a major chunk of your budget goes into maintenance and support of your SAP ERP application. With a blend of onshore and offsite SAP management services, you can get the best of both worlds while significantly reducing costs, and generating maximum possible ROI from your SAP investments. Outsource2india can help you cut down your total cost of ownership up to 40%, check out with our SAP consultants now. Team at O2I is a one-stop-solution to all your SAP related needs; whether it is Consultancy, Application Development, Application Management or Maintenance & Support. We have enabled hundreds of SMEs and large organizations in deploying, maintaining, enhancing, and supporting their SAP applications across different industry verticals. These include clients from different verticals like Retail, e-commerce & E-business, Mass Media, Manufacturing, IT, Utilities, Healthcare, Manufacturing & Engineering, Telecommunications, etc. Our deep knowledge across all SAP platforms is complemented by our experience that spans over a decade in IT consulting domain. It enables us to keep an eye on the upcoming SAP developments, understand challenges, capture opportunities, and offer comprehensive solutions to global organizations looking for outsourcing SAP consulting services. Upgrade your SAP systems with Outsource2india. 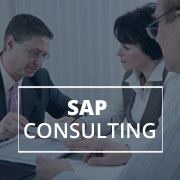 Contact our SAP consultants today!